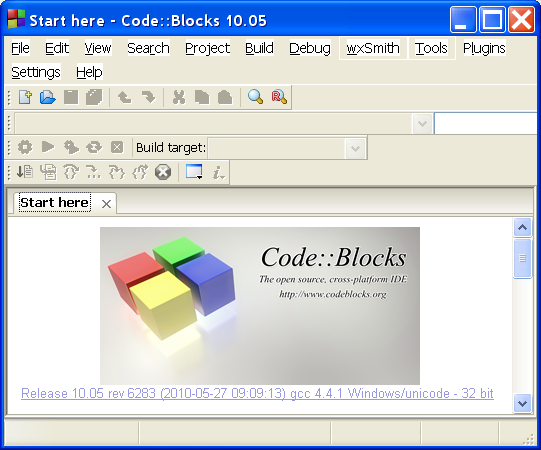 We start with downloading and installing the open-source integrated development environment (IDE) code::blocks (current version 10.05, May 27, 2010). As the compiler we use GNU gcc compiler (default). But this is a coding style that has to be assisted by the compiler, dependent on the compiler, sometimes without, sometimes with warnings. As you see, we receive the return value 0. Without this "return 0;" you receive the return value 1, meaning error. After pressing a key the window vanishes. What have we done? In the next chapters we will investigate these files. Now we understand every byte of our source code file. 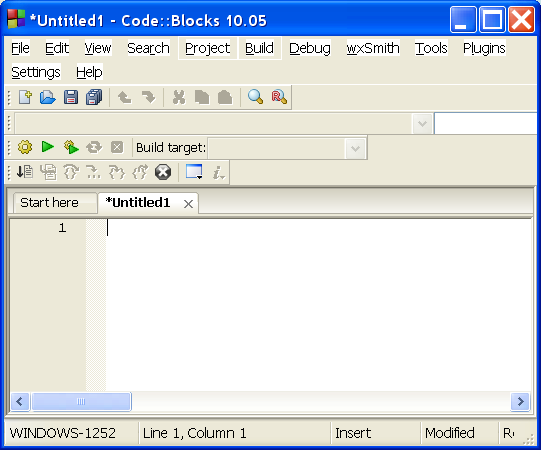 To open the the object file we need a specialized tool within our IDE code::blocks. objdump.exe is part of the GNU binutils. It displays various information about object files. We will use it as a disassembler to view the produced executable code in assembly form. The object files are the input for the linker that builds executable exe (Windows) or elf (Linux) files from it. Our object file has a size of 372 byte. We look only at the part of our little C function main. I high-lighted the region of our code for the C start function "main". If you open the exe- or elf-file with a hex editor you get a lot more of information. In an exe file you find ASCII-readable parts like "This program cannot be run in DOS mode". The ELF-format or PE-format is specified, and our program is only a minor part of the information provided in these executable files. Your compiler is the file gcc, and your linker is the file ld. 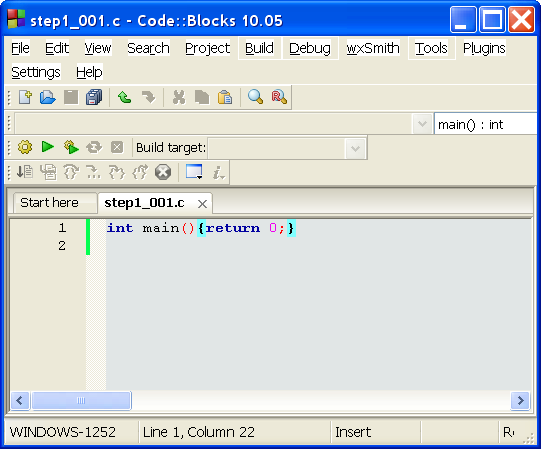 The compiler transforms the source code written in C into the object code. The linker transforms the object code files into an executable program. With "Settings - Compiler and debugger - Compiler Flags" you find this check box list for selecting appropiate compiler settings. The corresponding assembler instructions can be found here. push and pop are the instructions to transfer data to or to get data from the stack. If a C Functionis called, there are two sides: the caller and the callee. How can we check this? We need a debugger. Code::blocks provides this feature to us, but we need to use a project. Thus, let's start a new project and embed our source code file there. We start with File - New - Project - Console Application - C.
In our project directory you will find now the file main.c. Check the correctness of the code with "Build and run" (F9). Then we are going to debug the code stepwise. What do we need? The debugger instructions and debugging windows can be found at the menu item "Debug". Please try a little bit around with all the instructions and windows to get a complete feeling for this tool. The breakpoints in the source code are set / unset (toggled) with F5 or by mouse clicks behind the line number. Progressing the assembler instructions works fine with Alt+F7. The debugging window "Disassembly " gives us the similar information as the program objdump. Above you look at the object code of the function "main" in AT&T syntax. The first argument of the function is located at ebp + 8. In this step the (first) argument of the function is moved to the register EAX. This is the return value of the function to the caller. If you do not like AT&T syntax, you can switch the AT&T syntax to Intel syntax in the debugging window "Disassembly" bei Settings - Global compiler settings - Debugger settings - Choose disassembly flavor (GDB only). Just switch the drop down list to Intel. I recommend to get used to both assembler syntax methods. Here you find an overview on AT&T syntax. As you have seen, EAX is used for providing the return value of the function to the caller. The arguments of the function are located at the stack. 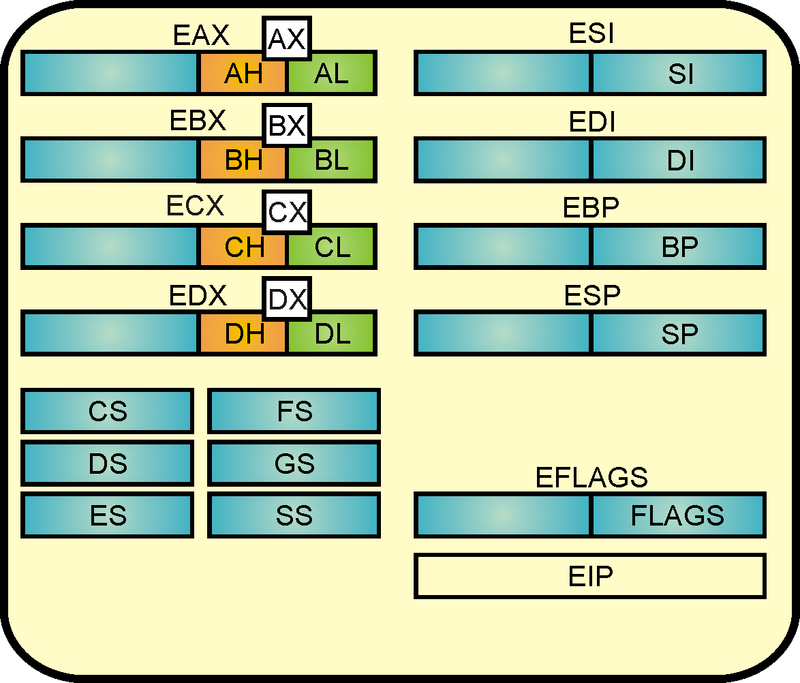 Callee uses EAX, ECX, EDX: Scratch registers can be used for temporary storage without restrictions, also called caller-save or volatile registers. Caller uses EBX, ESI, EDI: Callee-save or non-volatile registers have to be saved before using them and restored after using them. As type signed integer the value 0xfffffff2 is -14, 0xfffffff4 is -12, and 0x2a is 42. These arguments are placed at the stack with the last argument at the top of it. The position of the three arguments at the stack can be visualized by using the debugging window "Examine memory". There you enter "$ebp" as the beginning memory address. By reading the values, remember that they are put in the memory according to little endian. This means that the lowest significant byte comes first and the most significant byte cames last. At ebp + 4 you find the return address to main(), and at ebp + 0 you find the ebp value of the caller (in our case that is "main"). Proceed step by step and watch the register EAX and the instruction pointer EIP during the instructions.